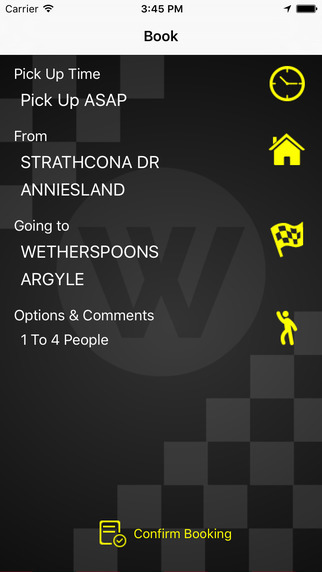 THIS APP ALLOWS USERS TO DIRECTLY BOOK AND CHECK THEIR TAXIS DIRECTLY WITH WESTEND RADIO CARS. BOOKINGS CAN BE MADE AS SOON AS POSSIBLE OR FOR ANY FUTURE DATE OR TIME. 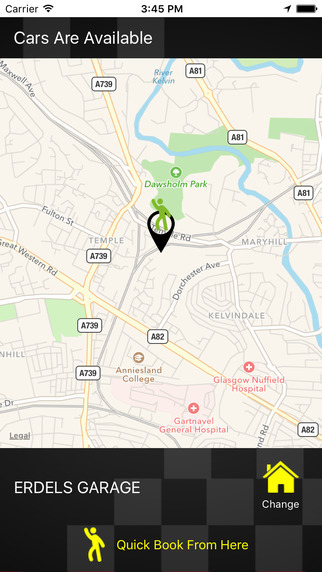 AND LIVE TRACKING ALLOWS THE LOCATION OF VEHICLES TO BE VISIBLE AT ALL TIMES.